From elegant beachfront villas and huge suites and penthouses in its urban properties, the pioneering group twins space with experiences for three generations. Bangkok, Thailand (4 April, 2019) – AKARYN Hotel Group, Thailand’s home-grown luxury boutique hotel specialist, is embracing multi-generational travel by opening its extraordinary accommodation and amazing activities to all ages at its urban and resort destinations across Thailand. Multi-generation travel is one of the biggest trends in the world today, especially in Asia, as travellers focus on reconnecting with their loved ones and sharing life’s most memorable moments. With its choice of stylish city hotels in Bangkok and Chiang Mai and blissful beachfront resorts in Phuket and Hua Hin, AKARYN Hotel Group is perfectly positioned to create unforgettable experiences for extended families. 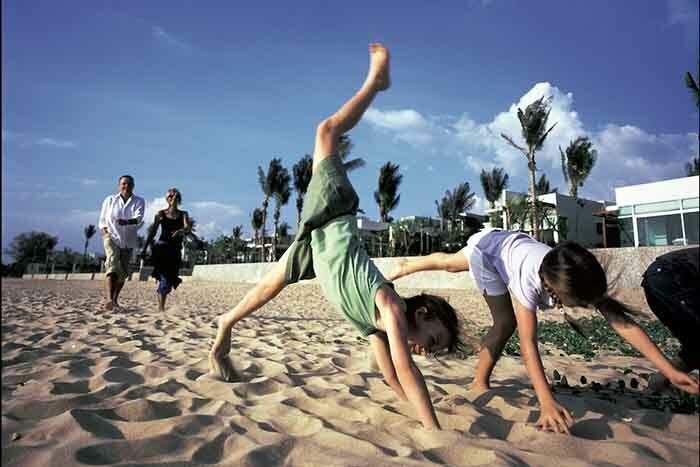 Whichever destination guests choose, they have a wide choice of activities to bring their family closer together. In the beachfront settings, different generations can come together with morning yoga sessions overlooking the ocean, cooking classes using organic local produce, exhilarating water sports, trips to local nature reserves and villages, and much more. Alternatively, families staying at AKARYN Hotel Group’s boutique city hotels can discover the hidden depths of their destination with a choice of urban excursions, treasure hunts and bike tours, and even get artistic with painting and drawing classes. In Chiang Mai, the surrounding jungle-clad hills also present unsurpassed opportunities for soft adventure. “There is nothing is more important in life than family. That’s why we’ve tailored our hotels and resorts to cater not just for couples or corporate travellers, but also families. We want to take the hassle out of multi-generational travel so we have brought together some incredible spaces and added a bunch of activities that will bring all the family together to enjoy truly special moments,” said AKARYN Hotel Group Founder and Managing Director, Anchalika Kijkanakorn. Aleenta Phuket Resort & Spa offers a selection of vast beachfront villas, including the 1,000 square metre Grand Villa Satis and 550 square metre Beachfront Villa, both of which feature four bedrooms. 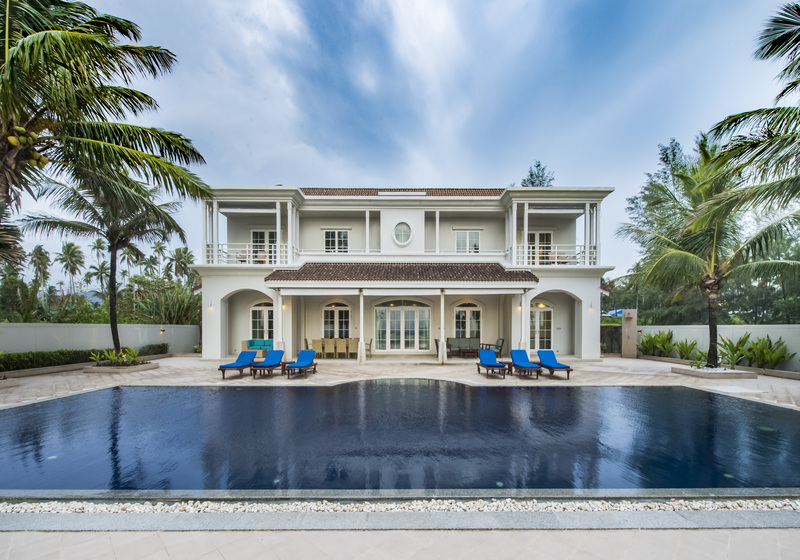 Meanwhile, Aleenta Hua Hin Resort & Spa has a choice of two-, three- and four-bedroom villas, which are perfectly suited to multi-generational holidays. akyra Beach Club Phuket is offering a “Beach Lifestyle” family experience featuring yoga sessions, cupcake decorating classes and pizza making lessons. In-room fruit juices and a bottle of sparkling wine are provided, and kids will enjoy three free hours in the Explorer’s Club at Aleenta Phuket. 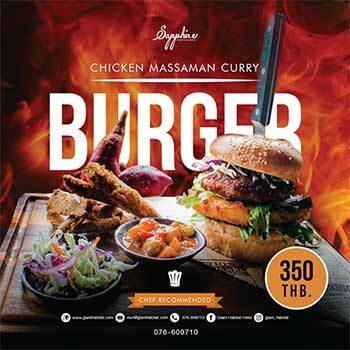 This is available for THB 3,000 for two adults and up to two children. Families who want to explore the exquisite culture of northern Thailand can book the “Local Art & Creativity” experience at all-suite akyra Manor Chiang Mai. This includes complimentary bicycle hire for the whole family, allowing guests to explore the local area, plus painting and pizza making classes. This package is available for just THB 3,500 for the whole family, including up to two children. Bangkok is fast becoming a fantastic family destination, and akyra Thonglor Bangkok allows all ages to explore the vibrant Thai capital. A special “Urban Activities & Attractions” family package offers free BTS skytrain travel cards, free entry to Imaginia Playland, plus in-room fruit juices for the kids and a bottle of sparkling wine for parents. This package is available for just THB 2,500 for the whole family, including up to two children. Families can stay together in luxurious style at akyra Thonglor Bangkok, with a choice of two- or three-bedroom residences offering accommodating up to five guests. At every AKARYN Hotel Group property, guests aged six and under eat for free from children’s menu, while 6-12-year-olds dine half-price. So, whether you’re seeking an action-packed city break or a serene seafront retreat, guests can find their perfect multi-generational holiday with Aleenta or akyra Hotels & Resorts. Save The Date for The Wedding Show at Novotel Phuket Phokeethra on 24th – 25th March 2018! March 15, 2018 Admin Comments Off on Save The Date for The Wedding Show at Novotel Phuket Phokeethra on 24th – 25th March 2018!